GRAFENWOEHR, Germany — The annual Overseas Housing Allowance Survey for Germany will be conducted Feb. 25 – March 19 April 7 and all service members are highly encouraged to provide input. 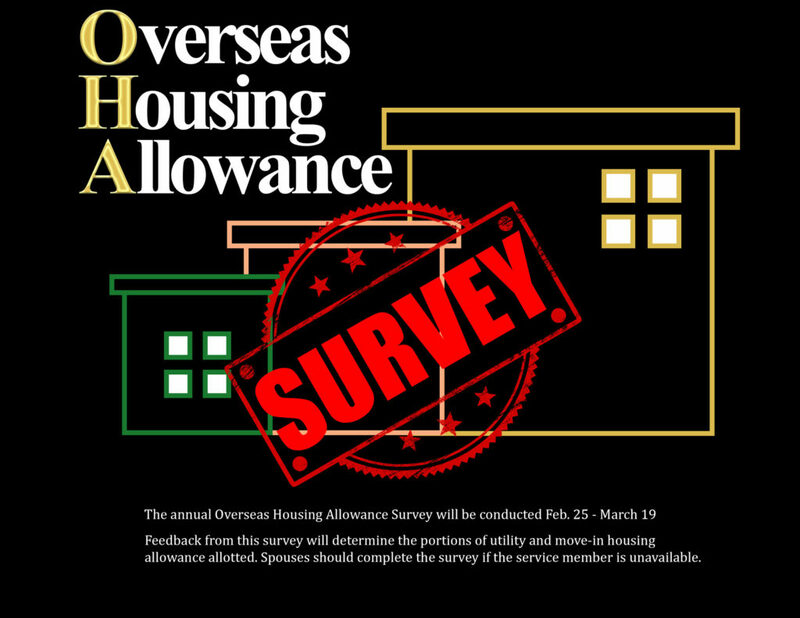 The survey data is used to determine utility allowance and move-in housing allowance portions of OHA. Spouses are encouraged to complete the survey if the service member is unavailable.